Great Materials - cape is made of satin, The mask is pretty sturdy and made of felt fabric. Friendly Design-the Velcro fastener at the neck safe and easy to put on and off by kids. 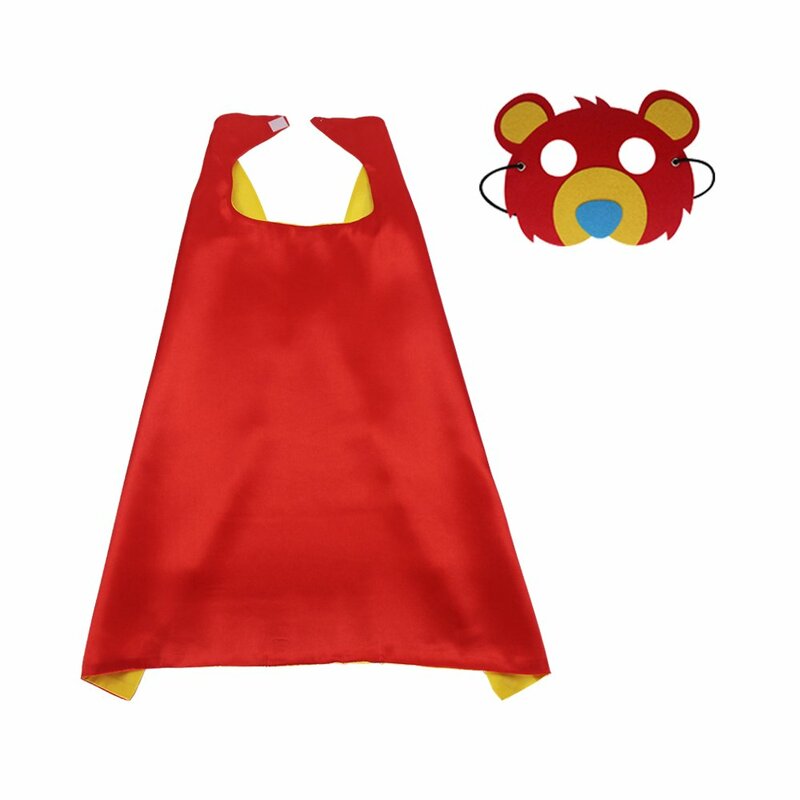 Suitable Size - Cape size is approximately 27.5”x 27.5”suitable for kids 3 to 9 years old. 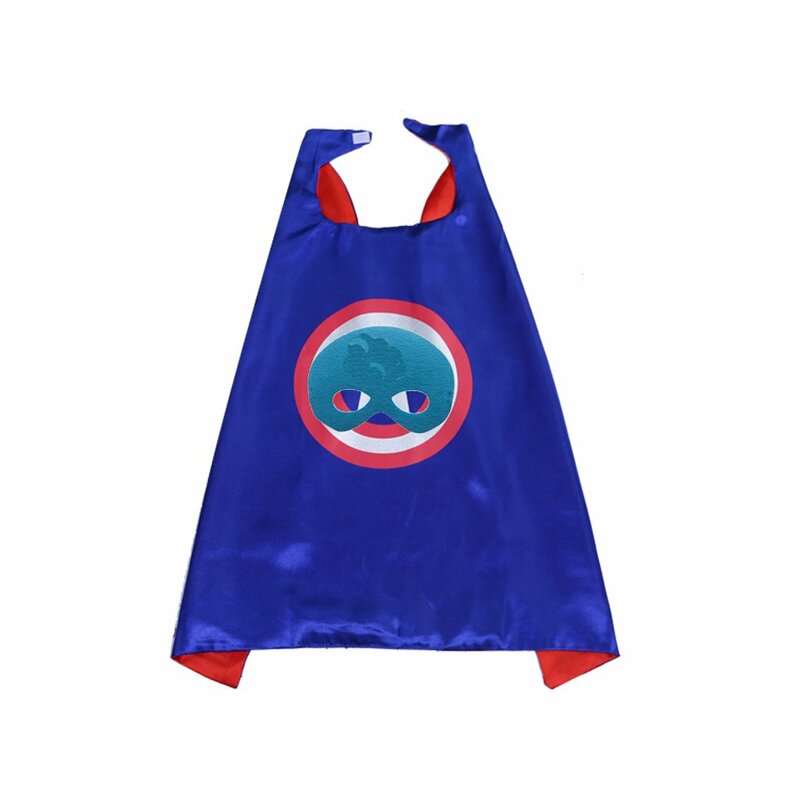 For Fun - Great for boys and girls ages 3 to 9, children pretend to be their favorite superheroes during the day,have hours of fun with the cape. 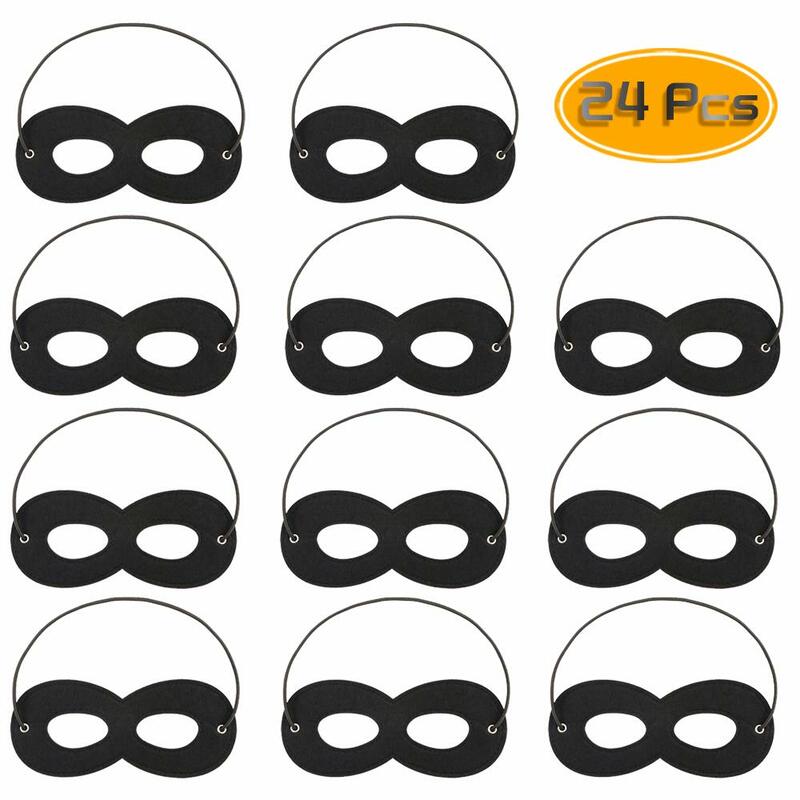 Great for Party - Suitable for any occasion of gifts for Christmas, Halloween, boys and girls costumes for superhero birthday party, pretend play, dress -up, superhero toys, superhero party and more. Each set includes 1 cape and 1 mask. 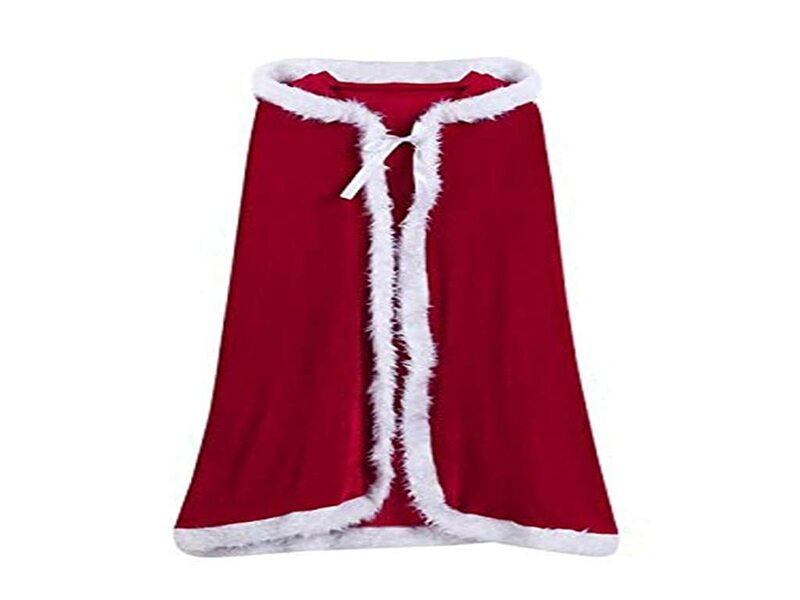 Cape size is approximately 27.5” x 27.5”,suitable for kids 3 to 9 years old. The Velcro on the capes makes it easy for little hands to get on and off and the elastic on the masks make them simple to figure out and wear. Kids can dress up as their favorite superheroes and have hours of fun with the cape. The Cape should be washed in cold water and hang to dry, Mask could be wiped clean with a damp towel. This product is awesome!!! The mask and cape are both well constructed. These were the hit of my son's 5th birthday party!!! 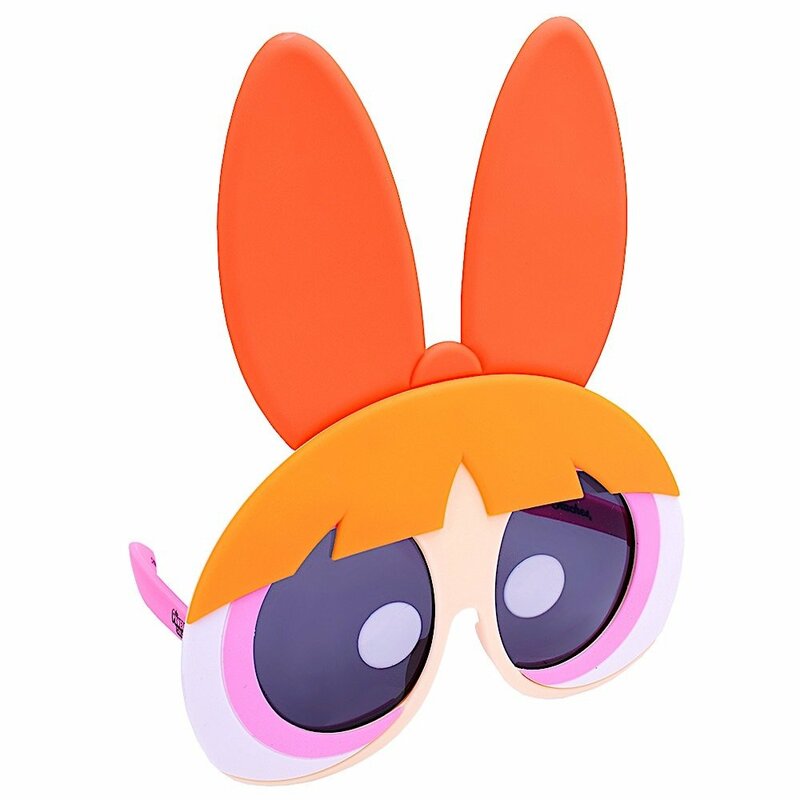 This is perfect for any kid for dress up. It's a little big around the neck area but my niece loved it. Great kids birthday party gift. Great little cape for grandaughter to chase brother in.